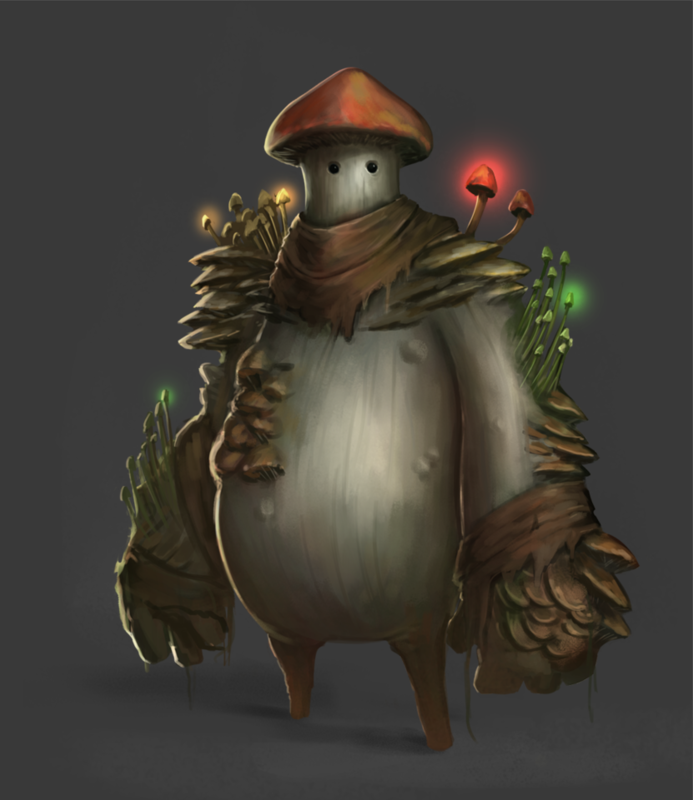 I haven't posted regarding this project for a while but here are the last Weirdos for the game. Expect a post compiling all the Weirdos plus the rules from the first post. Find the rest of the Weirdos: here, here, here, and here. HD: 1d8, Reroll Might, AB: +1 with primitive weaponry like clubs, staves, spears, and slings. 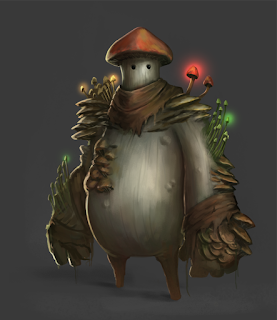 Mushroom Men are the oppressed natives of the Narcosan Archipelago. Their noble culture was one of sharing freely their thoughts with each other through telepathic spores. Of course, this is like giving a culture the internet before it has mastered the wheel, resulting in their inevitable downfall. Sling (1d4) + 1d6 Ammo Die. Abilities: Naturally Spongey (Free): you have +3 AC. Psychic Spores (Mind): Communicate an idea to a creature you can see or force them to believe something unless they make a Mind Save. They will believe this untruth until direct evidence of its falseness appears, allowing it to make a Mind Save each round it is aware of the evidence. HD: 1d6, Reroll Agility, AB: +1 with daggers and ranged weapons. Saving Throws: Against all traps. C'mon, you know me, you know what I do. Yes, I am picking my nose with that wand you picked up in the last dungeon. What of it? Crossbow (1d6) + 1d6 Ammo die. Abilities: Skillz (Free): Boon to all things thief related: pickpocketing, picking locks, sneaking, climbing, you name it. Anything for you Patrick. Luck favors the Greedy (Free): Burning points of Luck for you adds a d4 for each Luck spent to the rolled stat rather than 1 for 1. You can regain Luck as if it were any other stat. 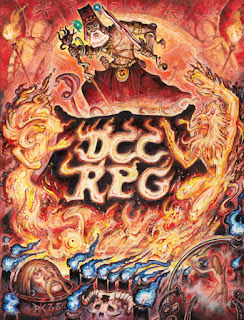 Weirdo Wizards to parade through your arcane cosmopolitan labyrinth. A Wand: Allows the Wizard to create light as a Torch once each day. Abilities: Gimmick (Free): Roll twice on this table. Empower Magic (Mind): Double the range and power of a use of Gimmick.